Keen to ditch the gym and be active somewhere you can abandon the rules of gravity? 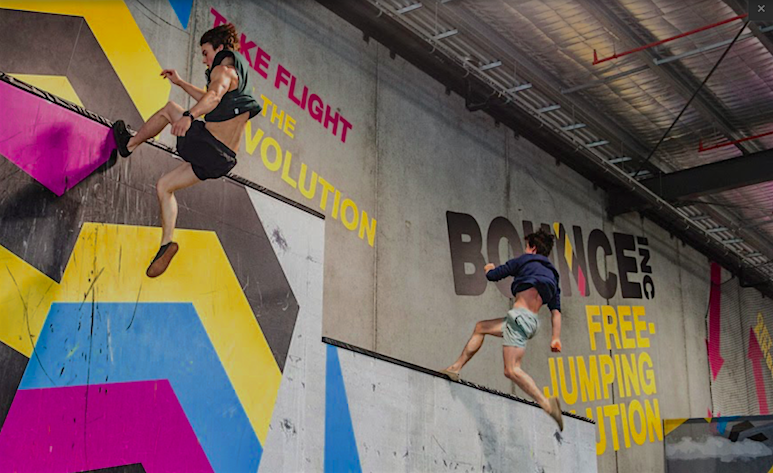 Bounce Inc incorporates adrenaline and exercise with trampoline walls, dodgeball warfare and slam dunks for everyone. For ages 3 to 103, Bounce could just be your next anti-anti-tredmill indulgence.